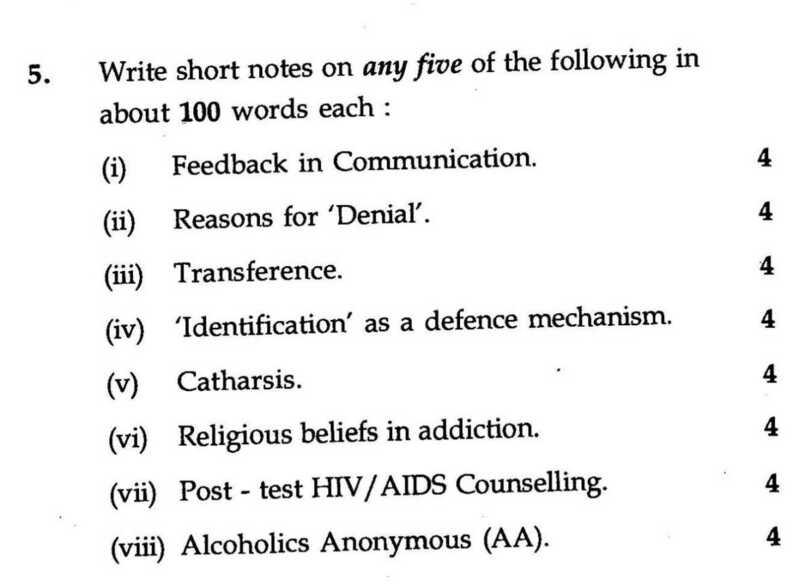 Here I am looking for the IGNOU Bachelor in Social Work, Substance Abuse and Counseling Exam Previous Years Question Papers, can you provide me the same??? 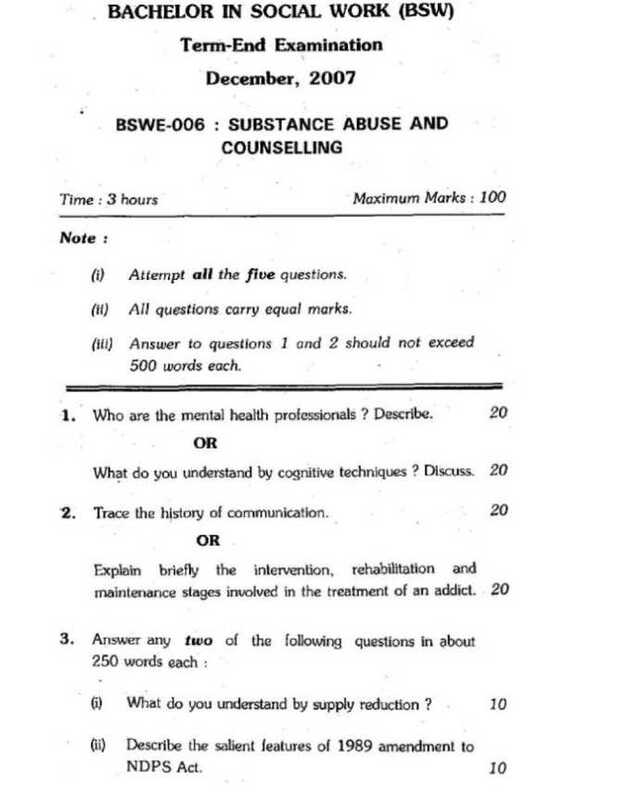 As you are looking for the IGNOU Bachelor in Social Work, Substance Abuse and Counseling Exam Previous Years Question Papers, here I am uploading a pdf file which contains the same. The paper has a total of five main question, all arranged along the length of the paper. 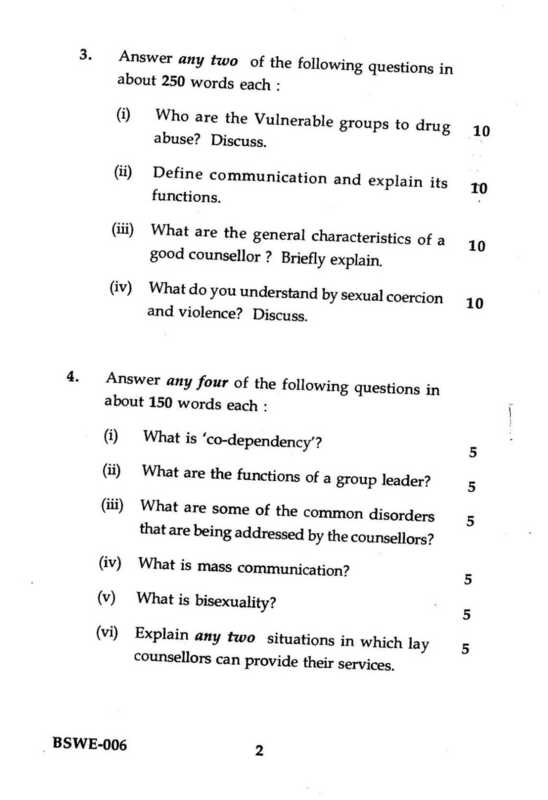 The first as well as the second main question are offered in pairs, which means, candidates have to answer any one from each pair, but each in about 500 words. The third main question has a total of 4 sub-questions, and candidates are advised to attempt only two, in about 250 words. The fourth main question carries a total of 8 sub-questions, but the candidates are requested to answer any four, each in about 150 words. The last main question carries ten sub-questions, but candidates have to attempt any 5, each in about 100 words.